Yes, I know that is rather a strange title, but I promise there’s a link! I have been in Brisbane for over a week, and I’m feeling long overdue to return to my farm. There are a few things I need to tidy up this morning before I go, then I shall pack the ute and begin the 2 hour drive home for a relaxing rural weekend. This morning there were no tennis balls. When I opened the bedroom door both dogs rushed down the stairs, spent a minimum of time in the backyard (the dog ablution equivalent of a 60-second shower) and then raced back inside and sat glued to the front door. They know we’re going home. They always know when we’re going home. 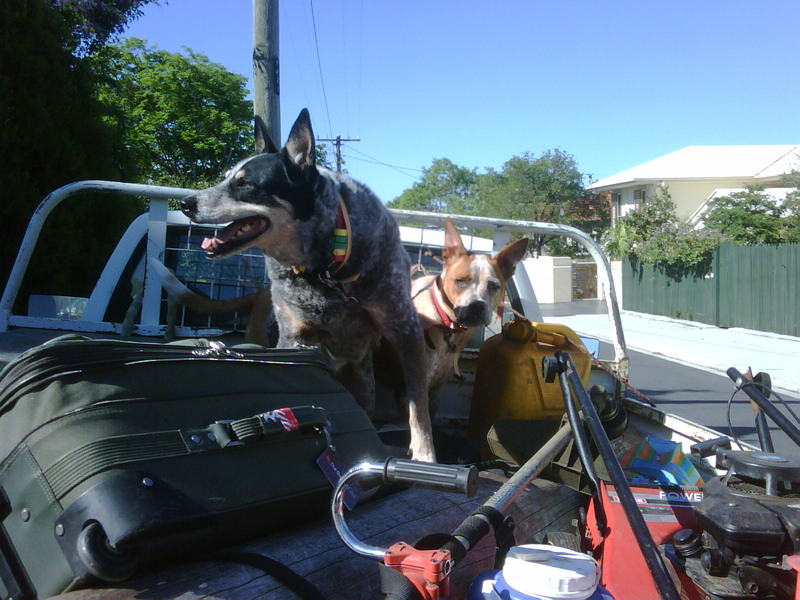 They won’t move from the door now until we call them to come jump into the ute. Dogs just know stuff. No-one tells them. They just know. Yesterday a friend sat on my couch in great emotional distress. Both dogs came over to her and sat beside her like bookends, offering her comfort and love. They knew, before she’d even said anything, that there was something wrong. Dogs are psychic. Cats too. 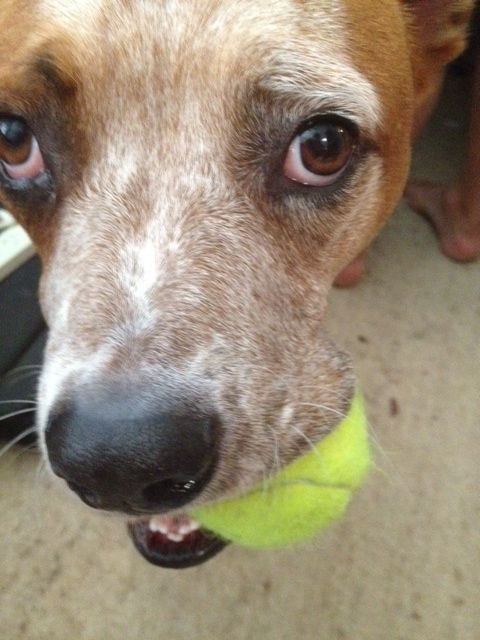 Years ago, Charlie, my faithful old blue heeler, would know when my husband was arriving into Brisbane. My husband worked as a pilot then. Often his plane might be delayed, or arrive early. I never relied on his work roster. I would wait for a phone call after he had landed so I could go pick him up. Charlie knew when Ben was coming, every time, even if to me it seemed wildly off the mark. About a half hour before my husband’s plane landed he would begin to get excited and a little agitated. He’d run to the front door and then back to me. Finally, as my husband’s plane was taxiing in after touchdown, he would put his head on my knee or nudge me until I followed him to the door. After a while I stopped waiting for the phone call and just went by what Charlie told me. He never got it wrong! While we’re waiting I’m going to cook a chicken dish that is always better slow-cooked and even more fantabulous on its second heating. That way when I get home tonight I can grab some salad from my vegetable garden, roast a few vegies, heat up my chook (that’s Australian slang for chicken btw!) and I’m set for a delicious dinner with a minimum of fuss. Now add the garlic to the pan where you fried the chicken, stir until it is fragrant, and then dump in the tomatoes, tomato paste, stock and half the parsley. Bring to the boil and season with salt and pepper. Let it bubble away for a few minutes, but check it doesn’t catch on the bottom. Add olives and capers. Reduce heat and simmer a few minutes and then pour over chicken to cover. Cover. 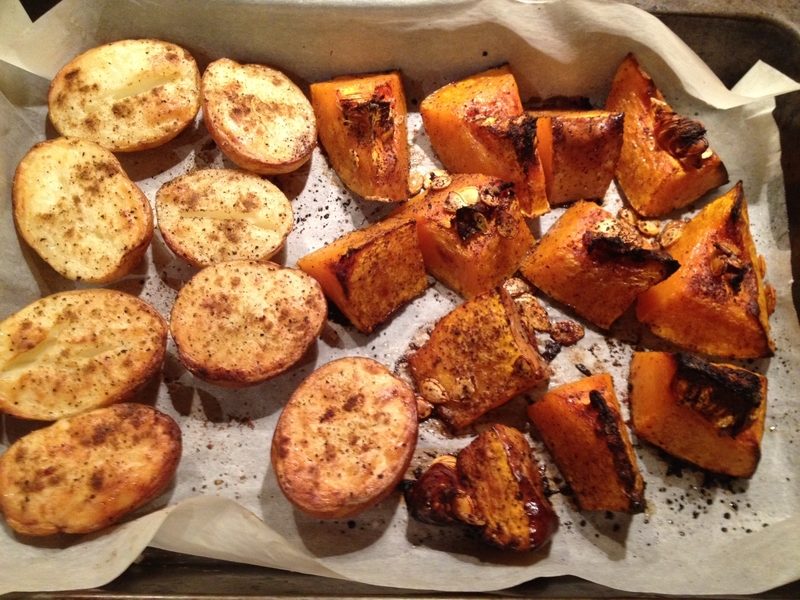 Slow cook this for two hours, or in a slow (160 degrees celcius) oven for 1 and a 1/2 to 2 hours. Sprinkle remaining parsley over to serve. Serve with a leafy green salad and some crusty bread, or for a gluten-free meal, some rice, mash, or my favourite – roast vegetables. 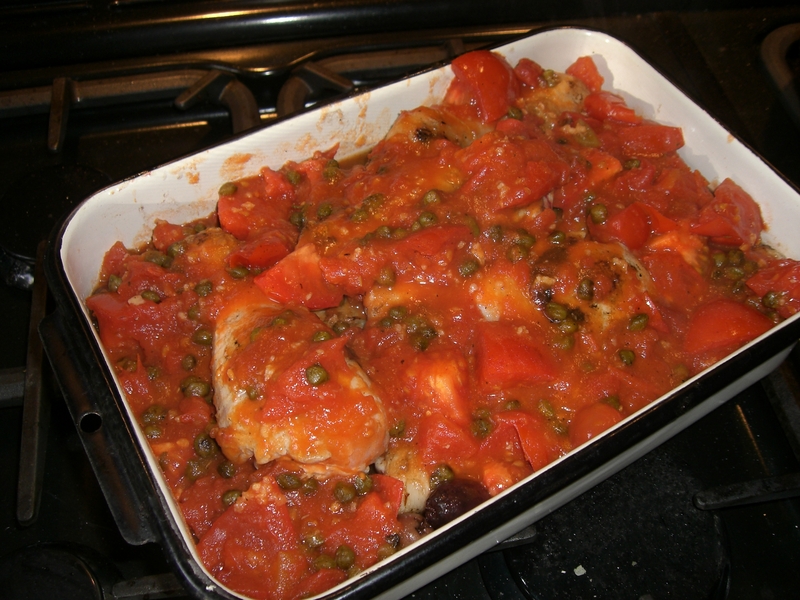 The chicken can be easily reheated in a moderate oven and takes about 35 minutes to heat up. Just check it after 30, in case it needs more time to be warmed right through. If we’ve been out on the farm doing cattle work, I’ll leave it in a very slow oven, safe in the knowledge that if we come home an hour later than planned it will still be delicious and moist. This entry was posted in Gluten-free, Life, Main Courses and tagged easy baked vegetables, easy chicken casserole, easy dinner party recipe, farm life, homestyle cooking, meals for families, olives and capers, psychic animals, psychic dogs, recipe, slow cooker chicken recipe by Cauldrons and Cupcakes. Bookmark the permalink. I will have to try that recipe for tomorrow!! !Looks delicious!! Have a safe trip back, and a great week end! I’ve heard of this kind of thing with dogs before and I wonder how they do it. How do they know? Your chicken dish looks delicious (and that’s coming from a veggie!). I hope you’ve had a good journey back to your beloved farm and are now happily ensconced in the peaceful surroundings once again. Wowzers. Looks good, I have a very similar recipe for sliced pork loins, but chicken is just so much healthier! Don’t you just love animal “instincts”? There is more too it than that I know, but they seem so in-tuned! I swear if you gave every troubled teen a horse, there would be no more trouble. LOL – I totally agree about the horse thing, or any sentient patient animal for that matter.